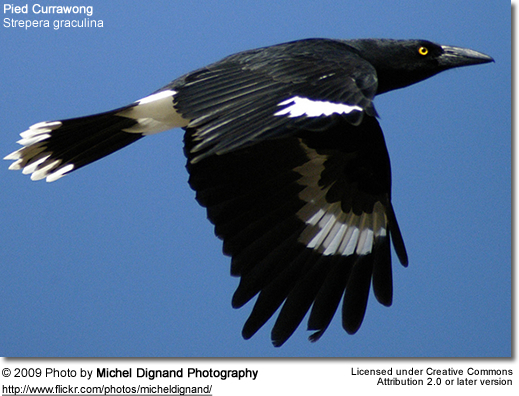 Currawongs are medium-sized perching birds that are native to Australasia. They were formerly also known as Crow-shrikes. 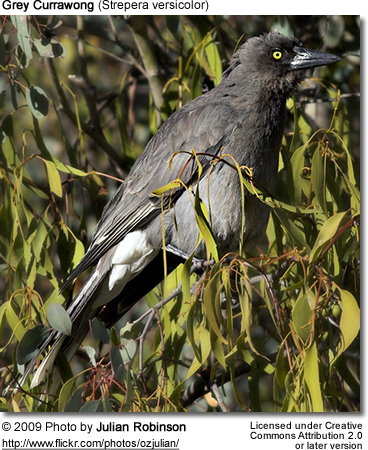 The common name comes from the call of the familiar Pied Currawong of eastern Australia. 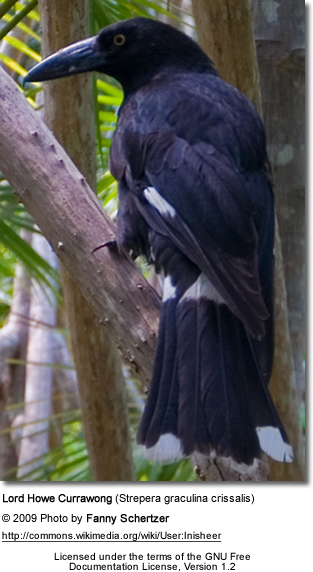 The currawongs are a little larger than the Australian Magpie, somewhat smaller than most ravens, but broadly similar in appearance. 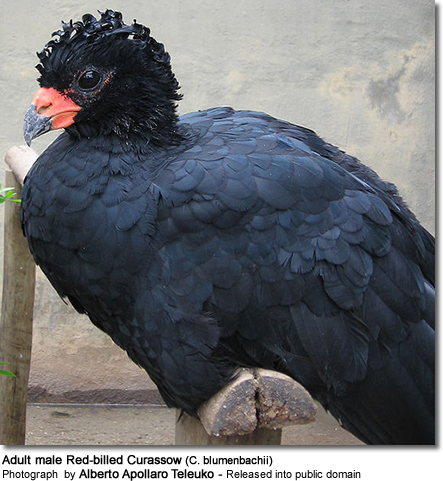 They can be identified by their differing eye coloration, compared to the red eyes of a magpie and white eyes of Australian crows and ravens. They forage in foliage, on tree trunks and limbs, and on the ground, taking insects and larvae (often dug out from under the bark of trees), fruit, and the nestlings of other birds.